Following a successful pilot programme in 2014/15, Hackney Council re-introduced its paid work placement scheme for Hackney residents aged 16-19. The programme gives 100 young people who live or study in Hackney, their first experience of the working world, whilst enabling employers to attract future talent. At Tiger Way, we took on two young women, Amber and Tomi as part of the ‘Hackney 100’ Scheme. Amber spent summer 2017 with us, as a work experience candidate and was happy to come back to us as part of the Hackney 100 scheme. Tomi attended an ‘Open Doors’ day at Tiger Way in 2017. She enquired to be put forward for the next Hackney 100 scheme as a candidate for McLaren. Both Amber and Tomi spent two weeks assisting the site team with administrative tasks. 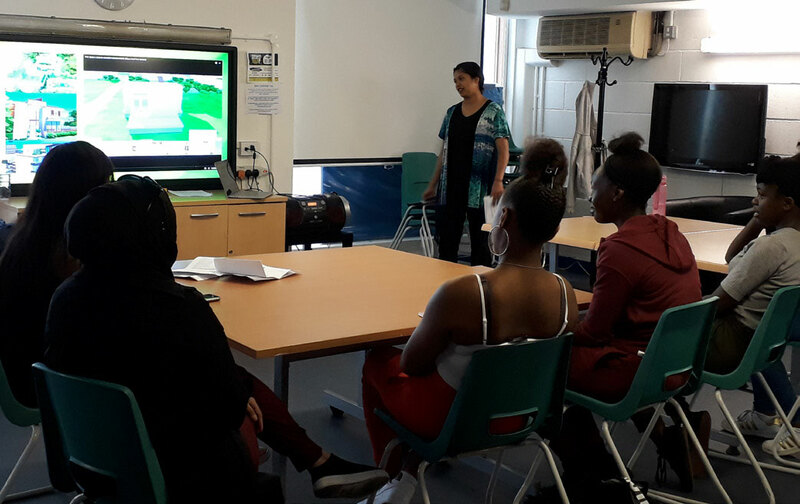 They also created a presentation to encourage young people to enter the construction industry, which was presented to a group of young women at The Blue Hut, part of the Sky Way charity. Tomi is returning to school in September to complete her A-levels and then wishes to attend university. Amber is a prospective Design Management apprentice hoping to join McLaren very soon.